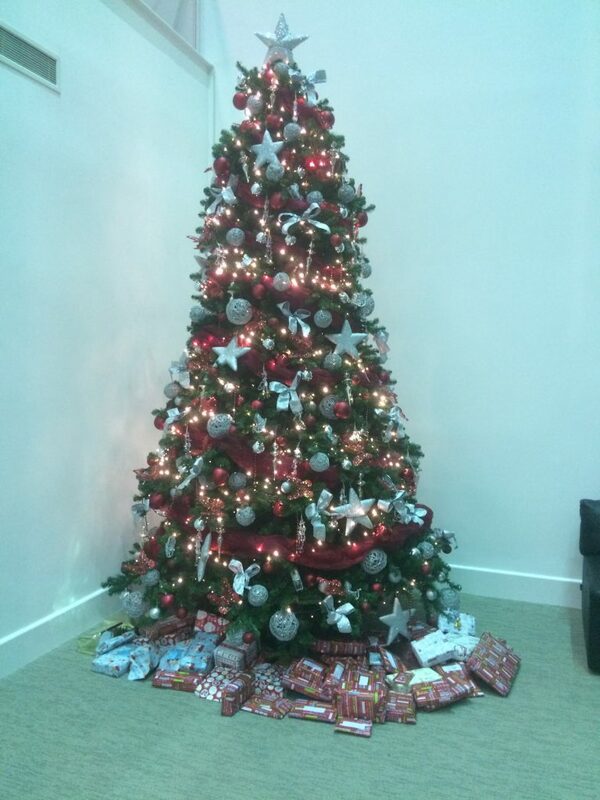 TAG Farnborough Airport employees and tenants of the airfield have been busy in the weeks leading up to Christmas to help put smiles on the faces of those less fortunate than ourselves at this festive time. We are pleased to report that the airport was able to deliver 70 presents to the Community Matters Partnership Programme. CMPP will then be delivering to various charities, initiatives and groups around Farnborough and Aldershot. Along with this staggering success we are also pleased to be one of the local companies who helped collect 1354.8 kg worth of tinned food, selection boxes, toilet rolls, nappies etc. to be taken to shelters for the Christmas season. TAG Farnborough (FAB) has recently joined the World Fuel Services Network of FBOs. TAG will leverage World Fuel Services’ bulk jet fuel supply and technical support of local professionals during their five year supply agreement. With their membership in the World Fuel Services Network, TAG has access to comprehensive business and general aviation FBO solutions designed to foster their business’ success and help them to better serve customers with world class offerings. From training, to credit card processing, to marketing support, Word Fuel Services Network FBOs are provided customized services by World Fuel Services’ team of dedicated industry professionals. 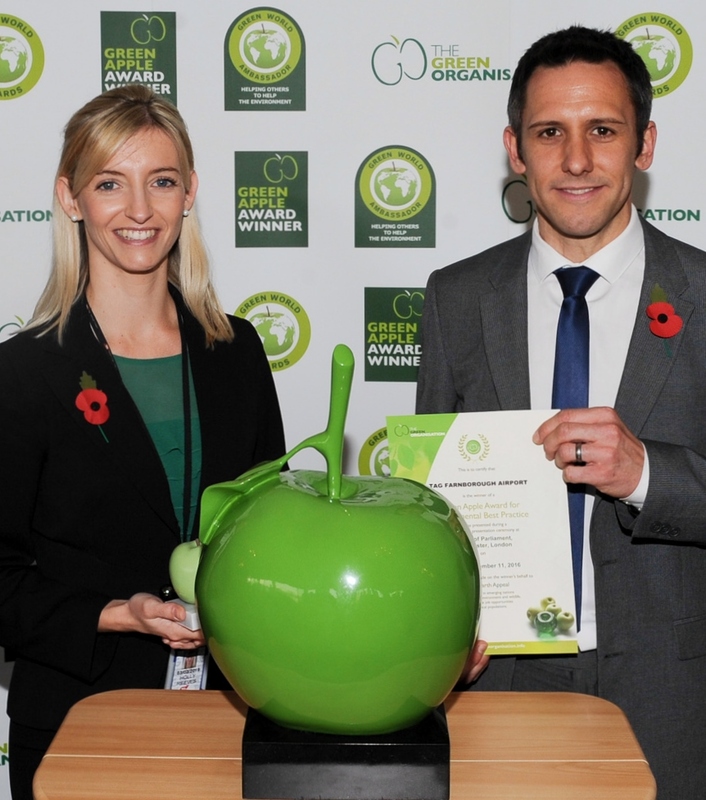 TAG Farnborough Airport has been presented with a Silver ‘Green Apple Award’ by The Green Organisation at a ceremony held at The House of Commons this month. The Green Apple Environment Awards, is an annual international campaign designed to recognise and encourage environmental best practice around the world. TAG Farnborough Airport received the Silver Award in recognition of its commitment to reducing environmental impact and continuous improvement through best practice. In particular, the award acknowledges the innovative sustainable staff travel plan which encourages employees at the airport to adopt low or zero carbon travel such as cycling, the use of public transport and car sharing. Additionally the scheme addresses staff movement around the airport site through investment in company electric vehicles, e-bikes and more traditional pedal bikes. TAG Farnborough Airport exhibited at NBAA/BACE last week in Orlando (1-3 Nov). It was a very successful show for the airport, meeting both potential new business contacts and existing clients. Brandon O’Reilly, CEO also took part in a live interview with a new Aviation TV Channel called Gear-up to talk about why TAG Farnborough Airport was present at the show and the latest news from the airport. Following on from July 2015 when the airport submitted an Airspace Change Proposal to the Civil Aviation Authority (CAA), we are now working with the CAA on an additional consultation as we have identified opportunities to refine the proposal further in a limited area surrounding Midhurst. This consultation will start on Wednesday 10th August 2016 and end on Wednesday 5th October 2016.